It’s August 21, 2017. There’s only one thing on people’s minds: The solar eclipse. Every brand under the sun jockeyed for the cultural zeitgeist, but it was MoonPie — throwing a little shade at Hostess — that won the day. The company’s viral tweet “Lol ok” broke brand social records, and the ensuing demand sold out stores and even caused their bakery to shutdown. Who said social was only good for engagement? Dooley Tombras gives us a look into how how he made a humble snack cake one of the most out of this world brands on social. Let’s be honest. There’s no such thing as a magic pill. But the vitamin industry sure makes it seem like a miracle cure is right there inside every bottle. There’s a new trend in office design. And its common enemy? The open office floor plan. Phone booths that once littered our sidewalks have been given new life inside our modern offices. You know the drill. Quick brush in the morning, neglect the afternoon floss, and win your week with a second brush a few nights a week. Changing habits is hard, especially when it comes to dental care. [Mini Episode] Topo Designs president Jedd Rose believes outdoor apparel design deserves better. And this week, producer Matt Brown helps us unpack how the company designs for urban and outdoor life. Hims: Baldness. Cold Sores. ED. Optional. When Ed Razek, the CMO of Victoria’s Secret, made disparaging comments about Heidi Zak’s company ThirdLove, she stood up for herself and all women. Her response? An Open Letter to Victoria’s Secret in The New York Times. For most shoppers, fair trade, organic, non-GMO products means paying a premium. And the amount of choices? Endless. But conscious consumerism doesn't have to equal uninformed decisions and an empty bank account. Davis Smith grew up like every other kid -- spearfishing piranhas in the Amazon, eating wild coconuts for snacks, and taking family adventures around Central and South America. Joe De Sena founded Spartan with a single purpose: to change people’s lives. Amazon Has Spoken. And the HQ2 Winners are… Amazon. [News] Amazon has officially announced the locations for the company’s second headquarters -- Crystal City, Virginia, and Long Island City, New York. [Mini Episode] The robots have arrived. Welcome! First stop: the kitchen. So we asked, is that really all that bad a thing? After founding and stepping away from Moz, Rand Fishkin finds himself back in the startup world. Only this time, he’s doing things differently. Beauty is a $450 billion industry. But traditionally, communication on beauty routines and products came from companies, not other customers. That is, until a little blog named Into the Gloss was launched. Movement is the art of change. You pass through one physical location to the next, with decisions at every step. And whether that’s in dance or starting a company, movement is what inspires us. After nearly three years, The Growth Show is officially taking a break. But we’re not stopping, by any means. We’ve already begun production on our next season. When you’re one of the most recognizable companies on the planet, how do you decide on your next big idea? If you’re Michael McNally, you think about it all the time. There’s the hype. Sure. But there’s also the hysteria. For most, bots are either the thing that’ll carry our companies into the future, or they’re a skip away from subjugating the entire human race. Your office is built for extroverts. Here’s why that’s a problem. Grief Is Inevitable. Why Aren't We Preparing for It at Work? Is Your Company Ready for PR 2.0? PR hasn’t really changed since we invented email. And it’s a problem. Companies have great stories to tell, but they’re being drowned out by thousands of low-quality messages that journalists receive each day. When Payal Kadakia quit her job at Warner Music Group, she didn't have a backup plan. Not long ago, men’s shorts were long, with as many pockets as possible. But these days, they’re shrinking. And we can trace it all back to four friends with one simple idea. Should Everyone Have an Executive Coach? When did working 100 hours become the banner for success? And worse, when did it become so damn cool? Luckily, not everyone thinks so. Remember Pepsi’s tone deaf Kendall Jenner ad? SheaMoisture’s “Break Free from Hair Hate” campaign? After seeing these, you may have how in the world these campaigns were created. For years, the pace of everyday work has been increasing. But Kathie Sever’s company is a good example of why the future may not be faster. Why does innovation come so naturally to startups - but not to larger companies or governments? That’s a question that Steve Blank is working to answer. Your productivity app isn’t the problem. You are. If you work in some kind of office, you’ve probably spent a good amount of your time in group brainstorms. Sometimes they work, but often you’re left with a ton of really great ideas -- and no action. It seems like every company is trying to come up with an AI and machine learning strategy. This week is the first of our episodes from INBOUND 2016. Dan Pink: Robots Won't Steal Jobs, They'll Transform Them. When seed stage venture capitalist Hunter Walk is evaluating whether to invest in a company, he doesn’t look at the product. To him, it’s all about finding a great team. Even if you’ve correctly identified your customer base, hired the best team around, and built the perfect product, it’s possible your target audience has no idea what you actually do. Buying clothing secondhand is nothing new -- but the way Anthony Marino is growing threadUP is. Have you ever been tortured by an idea? While at Stanford University 12 years ago, Ramit Sethi made a big promise to the readers of his blog: He would teach them to become rich. Julie Herendeen, a pioneer of the freemium model, knows better than most that sometimes your best marketing is free -- freemium to be exact. We all have habits -- some good, some bad. But why are some habits easy to form and others impossible to break? We all want to create content people remember (and hopefully, act on). But what makes some pieces of content easier to remember than others? Lorrie Norrington knows how to grow a company. She’s racked up over 30 years of experience as a senior business executive building companies like DIRECTV, GE, Intuit, and eBay. What wine should you try next? Danielle Morrill didn’t set out to organize the world’s business information -- it happened sort of by accident. Patty McCord knows a thing or two about building great teams and a corporate culture. What If Everything in the World Was Connected? What if everything around you was connected? That is our future, and Linden Tibbets, CEO of IFTTT, is at the center of it. Developing the Writing Algorithm: Can Computers Teach Us to Be Better Writers? On this live-recorded episode from INBOUND 2015, Jonah Peretti, founder of BuzzFeed & The Huffington Post, joins us to chat about BuzzFeed's insane growth and how viral content spreads. 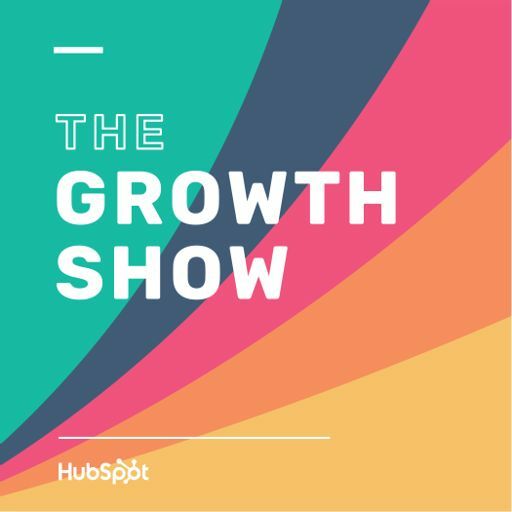 Comedian and podcaster Marc Maron joins us on this episode of The Growth Show -- the first in a series of live interview's from INBOUND 2015. How 90+ Cellars Became the Fastest Growing Wine Brand in the U.S.
Part 2 of Mike Volpe's interview with David Skok, General Partner, Matrix Partners and four-time entrepreneur.